This was an additional Family Sunday offering, since the event usually runs in the Gallery from October through June, on the third Sunday of every month (2-4pm). We decided to make this exception to our regular schedule because, well, we love partnering with other dynamic organizations in and around the city, and Rifflandia is fun! 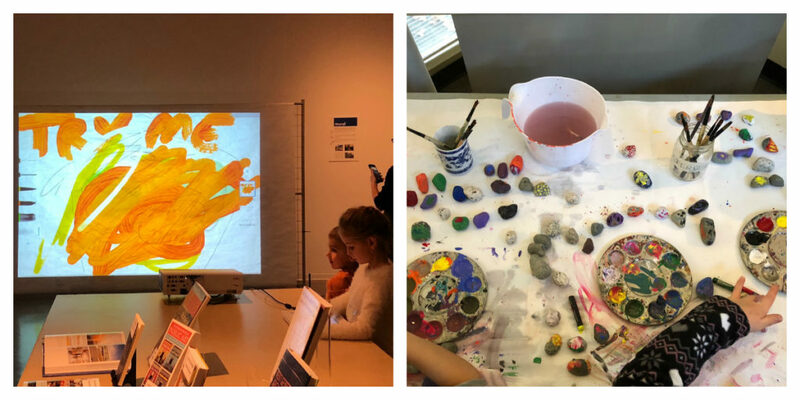 We couldn’t have anticipated just how INCREDIBLY popular our art installation/activity would be… A fantastic team of volunteers and our Family Sunday coordinator, Shannon Emery, connected with visitors and young ones and created a collaborative installation that grew throughout the weekend. 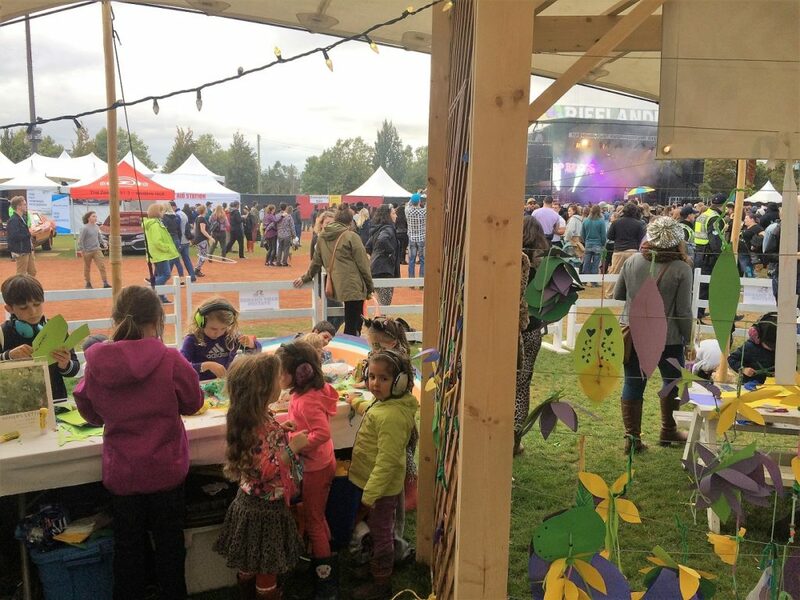 Families worked together to create mixed media flowers, inspired by Indigenous plants to this region like Camas, and wove fabrics and yarn into the structure – a collective loom! As we move towards our “Next Gallery” project, we’re excited to partner with other great organizations throughout the city, like Rifflandia, to bring Gallery programs to more neighbourhoods & communities. Family Sunday returned to the Gallery in October with a segment inspired by nature. 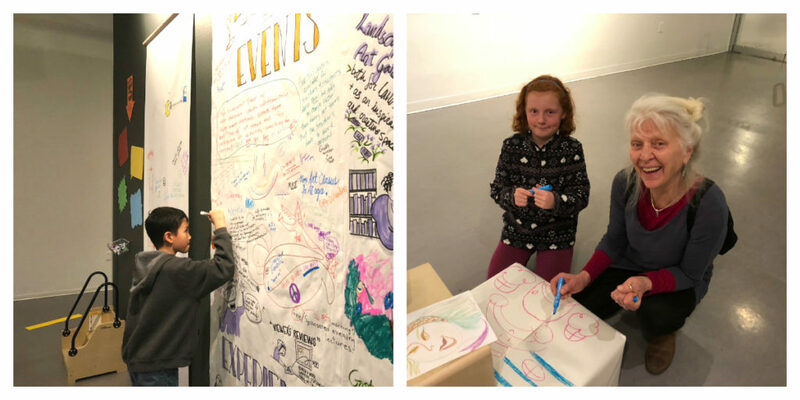 Our long-running exhibition Picturing the Giants: The Changing Landscapes of Emily Carr set the scene for the young and young-at-heart to play and create together. Under the guidance of Gallery volunteers and our guests from The Makehouse, participants created a myriad of artworks. They rolled out clay imprints with leaves, branches and acorns intaglio, wove dream-catchers out of twigs, yarn and other natural elements, and had fun with coffee filters soaked with inks and water and transforming the plain white paper filters into flowers and butterflies. The interactive space and exhibition BRAINSTORM provided the ideal setting for November’s Family Sunday. As the AGGV plans its transition into the next phase of its history in a larger, more up-to-date space, it is also engaging the community to help imagine what this future might look like. Visitors to BRAINSTORM are invited to try their hand at tech-art, express their opinions and ideas on a graffiti wall, learn about the history and evolution of the AGGV and enjoy a cup of tea over a discussion with a facilitator. 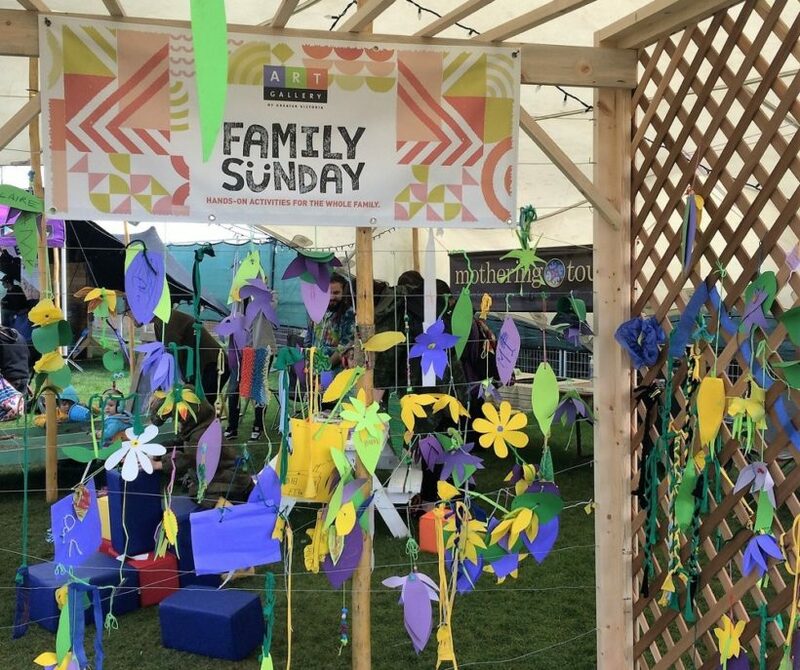 Such interactivity aligned itself perfectly with the Family Sunday outreach, bringing together the young and the young-at-heart to come together in a collaborative effort to create art. Walls of cardboard and paper lined the communal spaces of the Gallery to allow the families to get creative with graffiti. This was an enticing activity for all; what kid doesn’t want to draw on the wall? More graffitiing took place in the exhibition space, as families drew and wrote ideas for the Next Gallery. A station for building with large cardboard bricks was a big hit, as kids built structures of all sorts. Technological art and the more traditional medium of paint were also employed this Sunday, reflecting the future of the Gallery with its blending of old and new. Our next Family Sunday is on December 16, 2-4pm, at the Gallery. The theme is “Home for the Holidays” featuring a very cool local artist. Stay tuned for details!